Partnerships are great for a museum of our size and they can result in unexpected opportunities. We have a wonderful partnership right now with the Indiana University School of Medicine. Med students can take an elective here at IMHM to learn about medical history. It expands their understanding of their professional roots and how medicine has changed over time. Each student in this class does a special project and one of those projects has resulted in us being able to display an interesting medical history item for the next few months. Scott O’Brien did his project on anesthesia and the devices used over the years to administer it. During the course of his research, he found a connection to a device left in his grandfather’s garage. Before Scott’s grandfather, Francis Eugene O’Brien, became a medical doctor himself, he served in the army in World War II. During that time, he came into possession of something called a Kreiselman Resuscitator. The Kreiselman Resuscitator was used to revive patients in an era before mouth-to-mouth resuscitation. It used a bellows to force air into the lungs with a special stop mechanism to prevent too much air pressure. It could be used with a patient on their back or side and with or without a supplemental oxygen supply. It was developed in 1943 by Joseph Kreiselman, an anesthesiologist who served as a medical consultant to the US Army Surgeon General. It was designed to be easy to use, easy to carry, and cheap to produce for the US military. As an anesthesiologist, Dr. Kreiselman was familiar with respiratory masks and “positive-pressure inhalation” (forcing air into the lungs). These kinds of devices were common in the early twentieth century for administering anesthetic gases. Although the Kreiselman device was a step forward in resuscitation practice, it was still flawed. Using it took some training and skill and it was somewhat cumbersome to set up. It never caught on in the same widespread way that the “Ambu bag” would when it was invented in 1957. The Ambu bag design is light, easy to use, and still in use for resuscitation today. Dr. Kreiselman’s career, however, extended far beyond the reach of his military resuscitator. Kreiselman’s main interest was in neonatal and obstetric anesthesia. This adult resuscitator was just one of his inventions. He developed many devices for infant resuscitation and anesthesia and was considered a leading professional in his field in the mid-twentieth century. The Indiana Historical Bureau has approved a historical marker that commemorates an important event in the medical history of Indianapolis— Lincoln Hospital 1909-1915. In the early twentieth century, African-American doctors were barred from treating their own patients and performing surgery in Indianapolis’ hospitals. 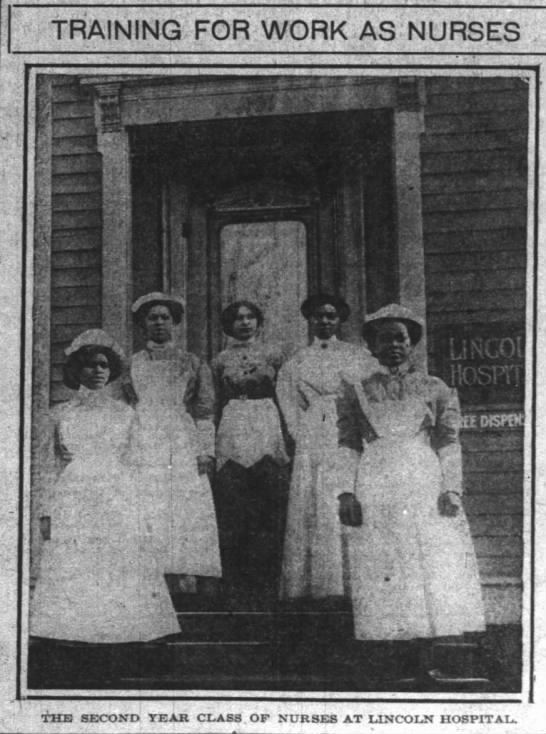 In 1909 with no access to a safe environment for performing surgery and a black population that was understandably dissatisfied with the poor conditions in segregated hospital wards, a group of black physicians established their own hospital in a converted two-story residence on the northeast corner of 11th Street and Senate Avenue. With 19 rooms and a surgery suite, the physicians had the ability to fully practice their profession. The hospital also provided a nursing school for young black women who were excluded from schools because of racial segregation. The new marker recalls the challenges of these dedicated physicians and young women from other cities in the state who trained there. It will also include information about two other small hospitals of the era--a private clinic opened by Joseph Ward, MD and Charity Hospital, operated by the Sisters of Charity, a philanthropic black women's club. The marker will be installed and dedicated in October. The Aesculapian Medical Society of Indianapolis endorses the project and monetary donations to help pay for the marker are welcome. If you’d like to help, contact Norma Erickson at nerickson@imhm.org. Welcome to the Indiana Medical history Museum Blog! Here we'll be sharing pieces of medical history from our collections as well as announcements of some of the things we're working on here at IMHM!